Tamil star Karthi’s recent film, Chinna Babu, was lauded by critics and family audiences for showcasing the importance of family relationships. In a latest promotional interview, Karthi opened up about various aspects, including his Tollywood comeback. 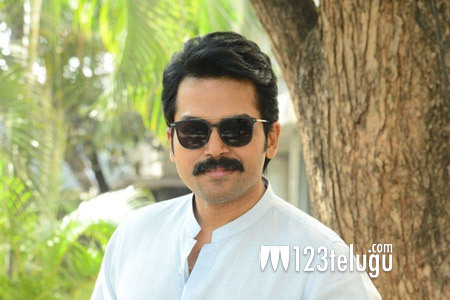 In the interview, Karthi said that he is quite eager to act in a straight Telugu film and that he has listened to a few scripts by Telugu filmmakers recently. He further said that he is hopeful of making his Tollywood comeback in 2019. It’s well known that Karthi’s first ever straight Telugu film was the Nagarjuna-starrer 2016 emotional drama, Oopiri.